By Leah Dobrinska. Jun 21, 2015. 9:00 AM. Happy Father’s Day! To honor the occasion, we’ve compiled a list of some of our favorite literary dads. Some of these guys we love; some we’re intrigued by; others we just have to shake our heads at; but all of them are remarkable. This list is by no means exhaustive. We hope that you enjoy our selection, and then perhaps share your own favorites with us in the comments below. In Charles Dickens’ A Christmas Carol, we see another example of a noteworthy father. Bob Cratchit is positioned as the model lower-class dad. He works in dismal conditions for Ebeneezer Scrooge and takes his measly paycheck home to his family each week. The family is described as happy and content. He models gratefulness, despite not having much. And when Scrooge visits the family on Christmas, he observes Cratchit going so far as to defend his greedy boss to Mrs. Cratchit. Dickens writes Cratchit with hardly a fault to be found. Perhaps it is an unattainable characterization, but as a result, it’s hard to argue with the character being a good dad. While his spunky daughter Elizabeth rightly takes center stage in Jane Austen’s Pride and Prejudice, Mr. Bennet is a fascinating father-figure in his own right. He’s aloof but lovable. Spending years under the same roof as Mrs. Bennet and dealing with her “nerves” understandably made him a little reclusive when it came to his family. This is seen in its greatest magnitude when Lydia runs away after he granted her the freedom to follow the militia. But, he seems to acknowledge and own his errant ways. And, of course, Lizzy loves him, so we must, too. Shakespeare provided readers with numerous compelling characters from star-crossed lovers and feuding families to one of the baddest dads of them all: King Lear. Oh, King Lear. He must fall into the “less-than-admirable father” category. After all, it was his vanity that inspired him to force his three daughters to prove how much they loved him in order to earn a share of his kingdom. When his youngest, and most favorite, daughter refused to play his game, rather than reevaluate his motives and determine the best course of action, he banishes her. Not smart, King Lear, not smart at all. 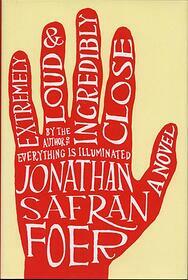 The theme of family is prevalent in Jonathan Safran Foer’s Extremely Loud and Incredibly Close. Narrated by nine-year-old Oskar Schell, the story begins following his father’s death during the attacks of September 11. Despite Thomas Schell’s lack of physical appearance in the novel, he drives much of the storyline. We know that Oskar loved his father, and Thomas encouraged Oskar’s adventurous spirit. Their relationship and his previous expeditions led Oskar to undertake the quest of the key. Thomas Schell is an intriguing character, one who we’re left longing to have had the opportunity to meet. J.K. Rowling’s Arthur Weasley in the Harry Potter series.